Whenever you are trying to login to Clash of Clans with your Google ID, one of the errors that bothers you the most is that big red disconnected icon showing on the screens. 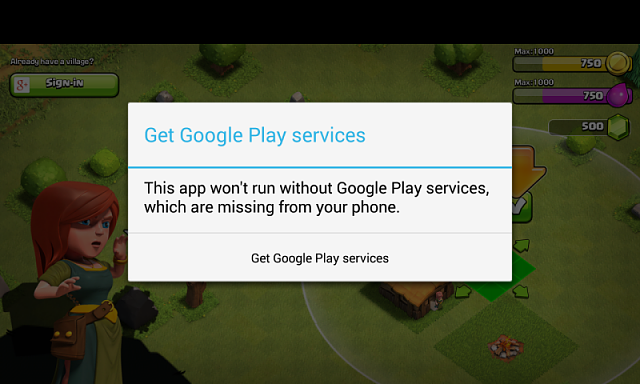 There could be many reasons for your Clash of Clans Google Play sign in not working. In order to diagnose the error and fix it, we will need to try a number of fixes and finally get it fixed for you. So let us now move on with this guide and tell you different methods with which you can fix this Google Play sign in not working in COC problem. The online cache is something which causes a lot of problems in apps and games which require online connectivity and so does Google Play and Clash of Clans. To get rid of this cache could be the top fix for you if this is something which is causing this issue. Following is how you fix the problem by clearing the cache. First, go into the settings of your phone. In the settings, go to the Application Manager and find Google Play Services. Now clear all the cache for Google Play Services. Logout your Google ID and then login again to re-sync. Open games and if this fixed the problem for you, the game should connect. Here is an alternative fix for you if the above one does not work. Go to the Google Settings of your phone. In the Google Settings, open Play Games and delete your profile. Now open Clash of Clans and since it would require an ID, create new and proceed. Method No. 3 to Fix Clash of Clans Google Play Sign in Not Working. So here is the last method if none of the above ones work for you even when they should. In Google Play Store, look for all installed Apps and Games. Find out Google Play Games and if it is disabled, enable it. Everything should be okay with this. So these were top 3 methods with which you can easily fix this issue of Clash of Clans Google sign in not working. If you have any query related to the guide, you can ask us in the comments section below.